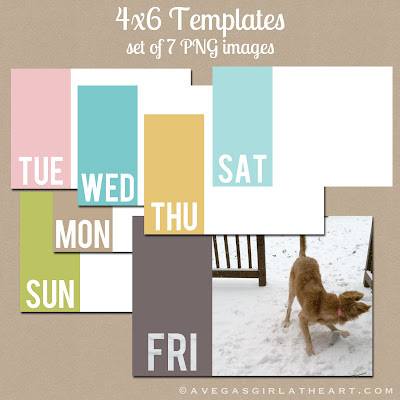 Two new sets of PNG (not PSD) templates in my shop - 4x6 and 4x4 format. Click the images below to check each of them out. 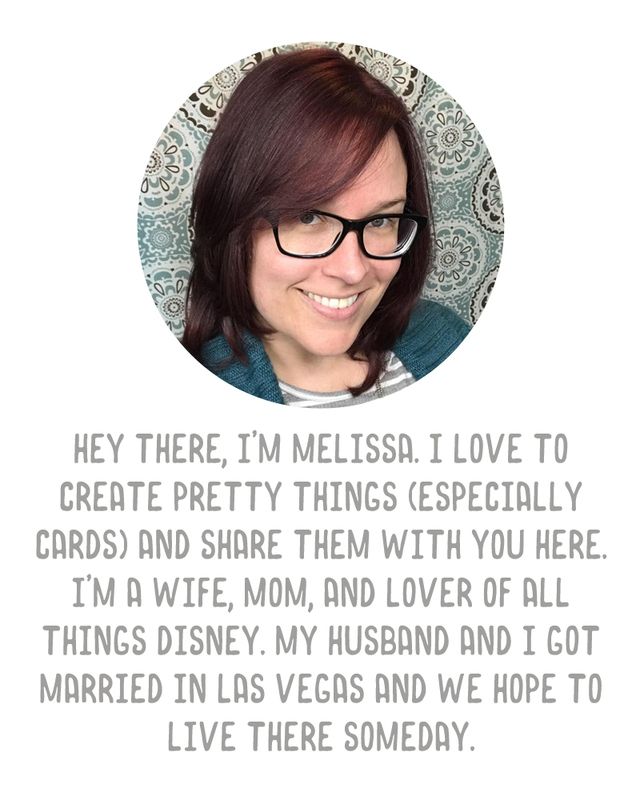 I'm actually using the first set in the Project Life spread I'm currently working on, which I'll share with you next week. Edited to add: Just in case anyone isn't sure how to use these, they're SUPER simple. In PS/PSE just open the template and open your image. 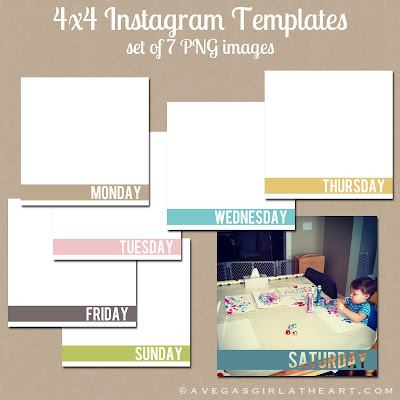 Crop your image to 4x6 or 4x4, and drag it into the template file. Move the photo layer under the template layer and you're done. You can also recolor the overlay (see this tutorial on recoloring overlays), and you can also drag it to the middle or side of your canvas as well. Play with it and you'll see! :) Of course, if you have further questions ask in the comments or email me.